It takes a village to raise a child and that is what you will find at Saint John School. Our family has found an amazing network of support and love. We have been part of Saint John since 2013 and we have 3 children who attend. The school is small enough to feel like family, where the teachers call you a month into the school year to see how it is all going… Wow! Yet the school is large enough to offer sports, art, language and technology. 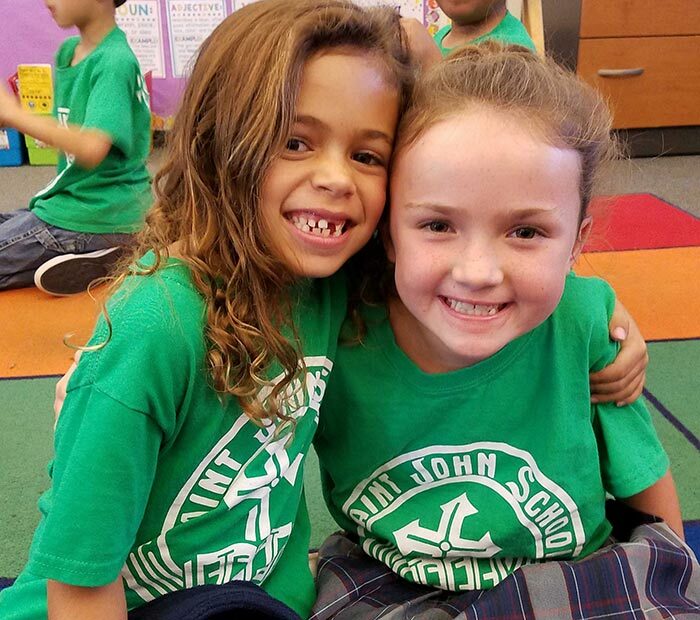 Our children are building great memories and lasting friendships while getting a high-quality education and spiritual guidance. The staff is caring and committed to not only the students but their families. We feel blessed to be part of this community.